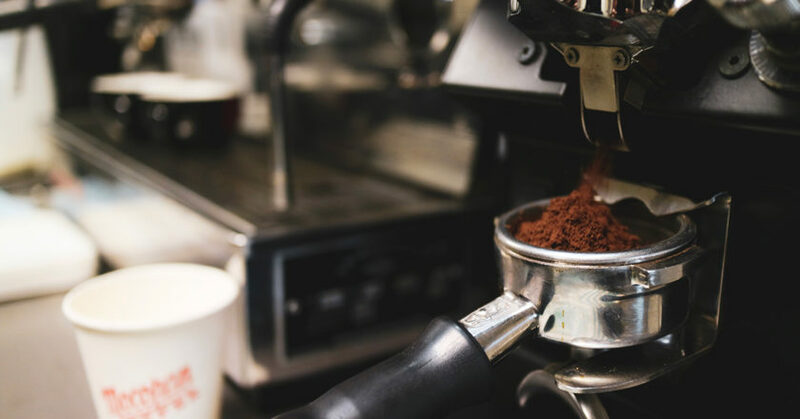 In the morning, after your work area is set up and you’ve got fresh coffee oils running through the group heads and group handles, the next stop on your journey to serving magic coffees to your weary-eyed, caffeine deficient customers is the grinder. 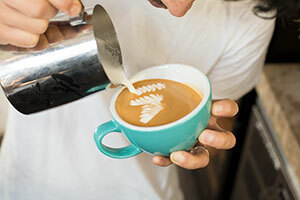 In the past five years, filter coffee has found a home among the specialty café market, but also in the home of coffee connoisseurs wanting to recreate delicious home brews. When it comes to training, one of the biggest questions I get asked is: when should I calibrate my grinder? 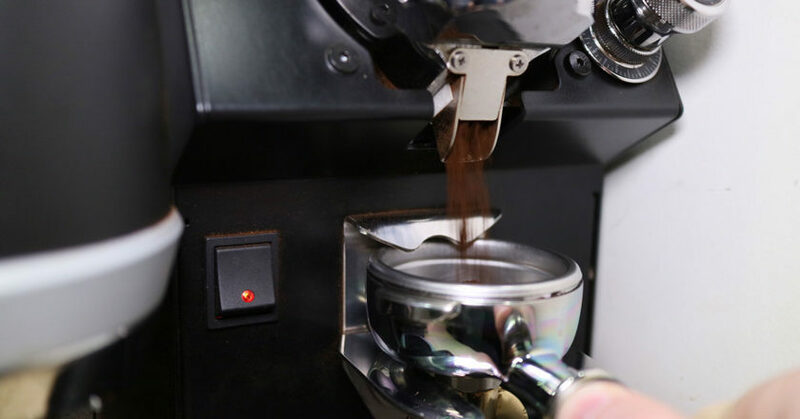 Calibration is simply the process of adjusting your grinder, moving the blades of the grinder closer or further apart, to ensure you get your desired outcome from the coffee. That outcome could be consistency or based on hitting a specific coffee recipe or hitting a specific taste/flavour. 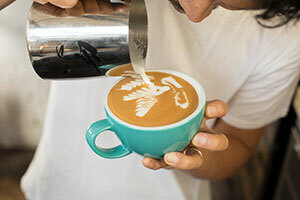 By Shinsaku Fukayama of St Ali, the 2018 ASCA Australian Latte Art Champion. In ancient Palaeolithic times, dating back over 10,000 years ago, bows and arrows were used in battles and hunting. The symbol is also affiliated with Apollo, the Greek god of archery (among other things), but my favourite reference is Dragon Ball, a famous Japanese cartoon character who posed with a bow and arrow. 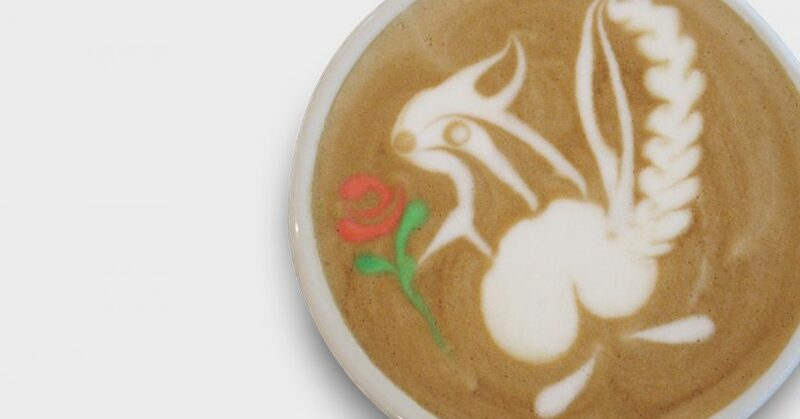 Like many of my latte art ideas, I turned to Google for inspiration on different images that I could translate the cup, including Dragon Ball. I decided to create my own version of his famous stance but with an angel holding a bow and arrow instead. I’m using a 35-gram shot, a 25-second extraction, and a 300-millilitre cup. 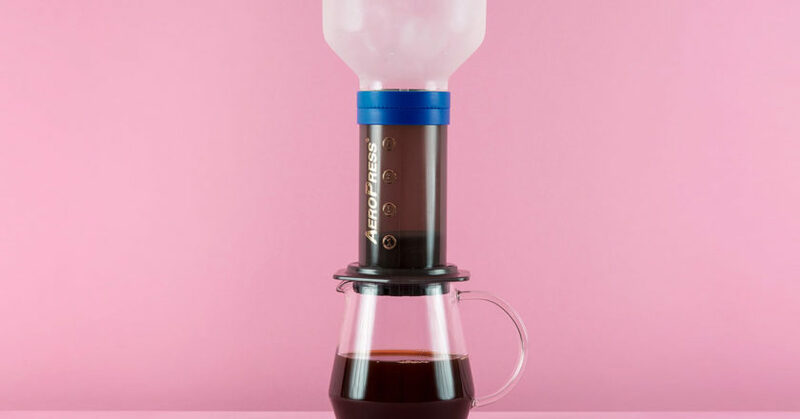 In competition I would use a minimum 20-second extraction time. If you use any less than that you’ll be deducted four points. 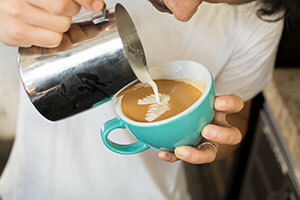 It’s important in competition to be accurate, but this pattern also demands your attention and precision – in contrast, placement, and even the volume of milk you need. Too much milk and you’ll run out of room, too little and you’ll fall short. The other key point is the milk-to-espresso ratio. If you use too much milk, you’ll throw the balance of the pattern out. It’s about practice and finding the right volume without a huge amount of waste. The other challenge with this pattern is the many drag techniques you have to use. It’s time to perfect your straight lines. I’m travelling to Brazil in November to compete in the World Latte Art Championship. It’s nearly time. I’ve been training hard and am ready to share my talent with the world. 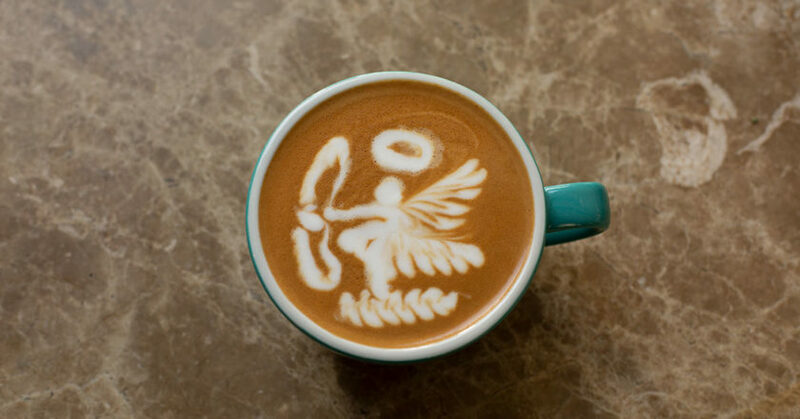 Hopefully next edition I’ll have some exciting news to share about my results, but for now, let’s perfect this angel design together and remind ourselves that latte art in a café environment is not just about visual appreciation, it’s also about delivering a tasty cup. Build your base. To create the first wing, have the cup handle facing six o’clock. Pour a 15-leaf rosetta. Use a wiggle motion or S shape to create the leaves down the side of the cup. Pull up alongside the right hand side of the rosetta to the start position. Rotate the cup slightly anticlockwise. 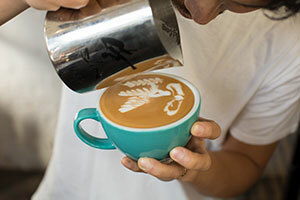 To create the second wing, pour into the centre of the cup and make a six-leaf rosetta. 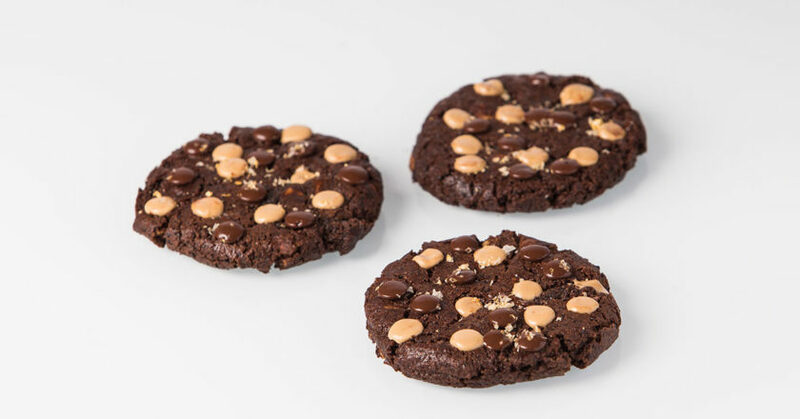 Pull up on the right hand side of the rosetta. With your cup handle facing three o’clock, aim your pour in the bottom left corner of the cup, about five o’clock. 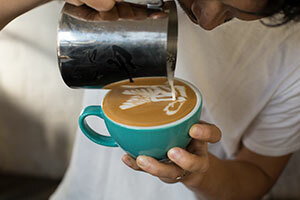 Pour a six-leaf rosetta across the cup from left to right. This will form the cloud for the angel to float on. Rotate the cup handle to face six o’clock. To create the bow, aim your pour at one o’clock and make a half circle or reverse C shape. Then, pour a half curve or C shape that meets the first. Repeat the process underneath the first bow. To form the body and legs of the angel, pour a triangular shape in the centre of the cup between the bows and wings and a line down the cup to create a leg. Make a very small heart on the bow to create the arrow. Above the angel’s body, draw a reverse L shape or two straight drag lines that will form the body of the angel and outstretched arm towards the bow. Draw a halo above the body, a circle shape. Finally, add a dot in the centre above the body to form the head. 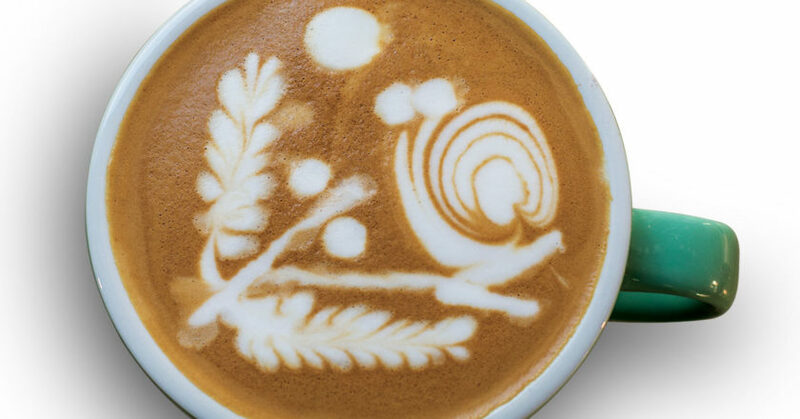 Animals are a great source of inspiration for latte art. 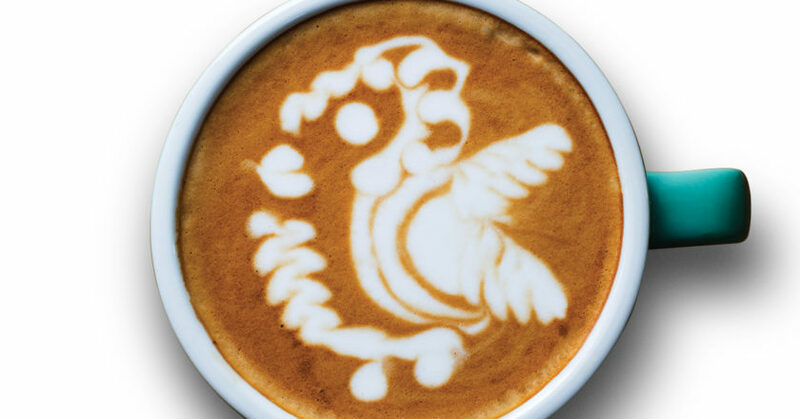 Whether I’m visiting the zoo, staring up at the sky or observing animals in the park, I always look at the structure of the animal and then question what latte art techniques I could use to recreate the pattern. This wild brainstorming then turns into research on Google for a closer look on how to make the animals more life-like. Don’t be fooled – when I first attempt a new pattern it normally looks least like my desired pattern. Perfecting the design is a slow evolution of trying different skills and techniques to make the pattern as realistic as possible. I will practice over and over again until I start to achieve the shape I want. Sometimes it takes months, others will take weeks. It’s very rare the pattern is perfect on my first attempt. 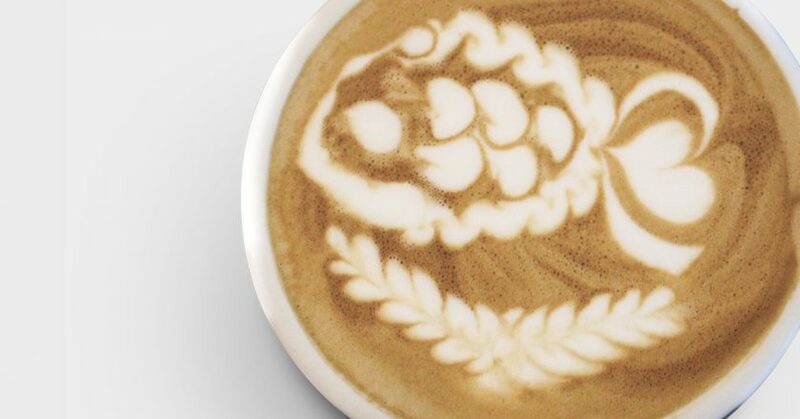 Like a painting, good latte art can be a progressive masterpiece. The pattern I’ve chosen to demonstrate for this August edition is my snail walking in the forest. 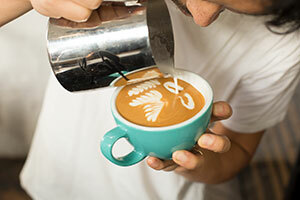 It uses common latte art principles put together: tulip, rosetta, drag, dots. If you can achieve each of these patterns individually, you will definitely be able to create this design. The snail is quite simple. It’s the added features of the forest that make this design tricky, that and the positioning of all the elements in the cup. 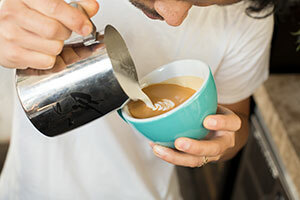 One skill you will have to master is rotating a cup in your fingertips – this is something you can practice without the milk. Aim for smooth and steady rotations. I first presented this design at the 2016 ASCA Australian Latte Art Championships in my free pour macchiato in a small cup. I placed second that year in the national finals, and since then I’ve worked on the design to make it even more realistic. 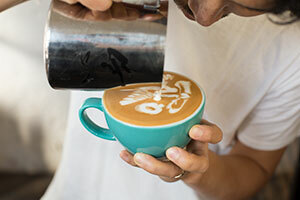 Traditionally, espresso coffee was made with a sensory approach, which would require months or even years to master. 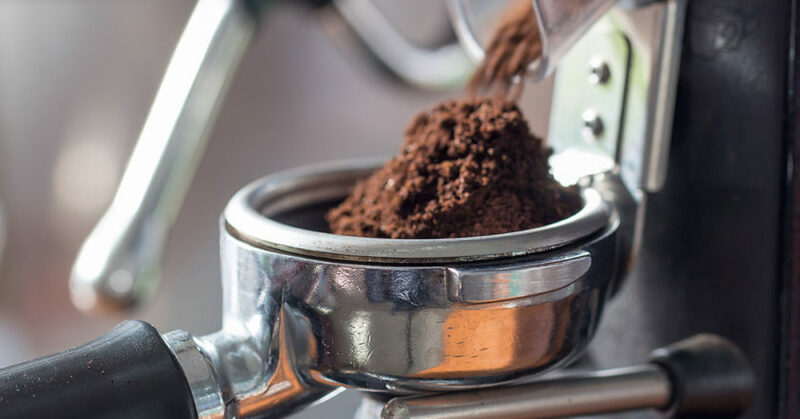 It required baristas to develop a sensitivity to the way the grind looked, the volume of coffee in the basket, the speed and time at which it extracted, and the way it looked, smelled, and tasted. By Aaron Dongsu Shin is the 2017 ASCA Australian Pura Latte Art Champion.